Throughout the ages, the violin has remained one of the most popular instruments. When you consider the hauntingly beautiful music that it can create, it is easy to see why. If you are interested in learning how to play this classic instrument, taking lessons is a great option. Instead of trying to learn on your own, being able to have a teacher guide you along the way can make a real difference in how quickly you progress. In the past, if you wanted to take violin lessons, you usually had to find a local instructor. Thanks to the Internet, however, there are now more ways than ever to learn. Below are some of the best places to take violin lessons in 2018. 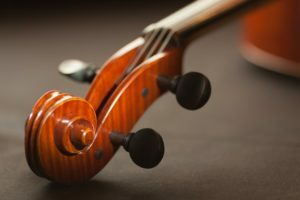 Also, consider checking out some the top violin reviews because you might want to consider upgrading your instrument before committing to lessons. If you don’t want to have to pay for lessons, you may be able to learn for free by watching videos on YouTube or other free video sites. Oftentimes, experienced players will upload lessons or tutorials to these sites. You can use them to learn new techniques or to improve your current skills. Although these types of video lessons can be beneficial, they do have some downsides. For one thing, they don’t give you an opportunity to ask questions or to get personalized guidance like you would get if you were working with a private instructor. Additionally, they usually just focus on one or two techniques rather than providing you with a start-to-finish education. However, they are a good option for anyone who doesn’t have money to invest in traditional lessons. There are also courses that you can pay for on the Internet that will teach you how to play the violin. Unlike free videos that you can find on sites like YouTube, these videos usually are recorded in a series, covering every aspect of learning how to play. As a result, you can get a much more complete education. In some cases, the instructor will even allow you to ask questions or to talk with them through services like Skype to get personalized help. It all depends on how much you are willing to pay for your lessons. Learning from an instructor in person is still a viable option. In fact, it may be one of the best options, simply because it gives you a chance to get real-time feedback on areas where you can improve from your instructor. Of course, taking lessons in person is not nearly as convenient as taking them online. Unlike online video lessons, you have to show up for your lesson at a specific time and you have to drive across town to get there. As long as you are willing to make those sacrifices, however, this learning method is still a good option. These are some of the best places to take violin lessons in 2018. It is worth exploring all of these options to see which one fits best with your current situation and your long-term objectives.